The programme's great hallmark is that admission is based purely on an individual's intelligence. Nobody gets priority based on sibling, alumni, clan, church or grassroot connections, or distance from home to school. Admittedly, some of these factors do come into play when those who have made it to the GEP are asked to choose which of the nine centres offering the programme they want to enrol in. 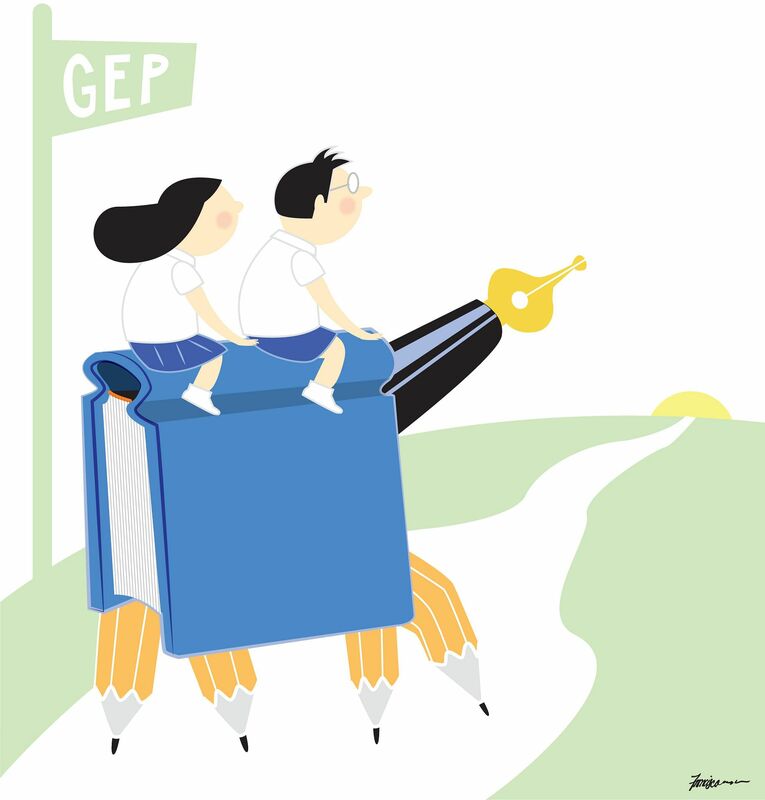 Criticism: The GEP breeds elitism among children, and at a tender age. My view: It is a valid concern which the Ministry of Education has addressed. Unlike in the past, when they were segregated, mainstream and GEP pupils now mix in combined classes for all activities and subjects, except English, mathematics and science. This was a serendipitous arrangement for Yanrong. Two of her close primary school friends - May and Rachelle - were mainstream pupils. There was no room for any superiority complex. They were no less intellectual than Yanrong was. Rachelle was, in fact, head and shoulders above everyone else in the cohort in Chinese. Her compositions were of a standard comparable to those of an accomplished adult writer. Yanrong was always in awe of Rachelle, who ended up as the top Primary School Leaving Examination (PSLE) pupil in her school. Criticism: GEP pupils are already ahead of their peers. Tailoring a special programme for them will only widen the gap between them and their peers. My view: All pupils cover the same syllabus but those in the GEP do so in greater depth. The latter's pedagogy also emphasises creativity, critical thinking and problem-solving. Although these involve higher-order thinking skills, they do not necessarily translate into superior PSLE results. Criticism: GEP pupils get more resources per capita, including a lower pupil-to-teacher ratio. My view: A typical GEP class has 25 pupils, against 40 in a mainstream class. Ideally, this difference should be eliminated or reduced. But it is hard to resolve and not just a matter of hiring more teachers. To reduce class size, a school will need more classrooms or cut its intake. Each solution has its own challenges. Criticism: Top secondary schools favour GEP pupils for direct school admission (DSA) - a scheme that gives schools flexibility to admit students based on their talent in academic subjects, the arts or sports - at the expense of mainstream pupils. Some GEP pupils admitted on this basis might not have met the school's cut-off score for admission based on the PSLE results. My view: I believe secondary schools are quite careful in giving out places under the DSA scheme. They have access to each and every one of their students' scores and I would be surprised if they hadn't done a thorough analysis to identify any flaws in their admission process. I do not have data to prove this, but I reckon an overwhelming majority of pupils who gain early entry through their academic strengths under DSA are able to meet the school's cut-off score, even though they are not required to do so. Criticism: Affluent children have a greater chance of getting into the GEP because their parents can afford to send them to expensive preparatory classes. My view: Some straw polls suggest that many GEP pupils attend tuition. This has led to the mistaken conclusion by some critics that tuition maketh the GEP child. But a recent survey by The Straits Times showed that nearly eight in 10 parents with children in primary school pay for private tuition. When a large majority of the student population take tuition, is it a wonder that they also include a significant number of GEP pupils? The fact that some pupils who attend tuition made it to the GEP does not demonstrate causation. It is merely obeying the probability theory. In reality, only a tiny fraction of children who have had tuition are admitted to the GEP. Criticism: The GEP has created an additional rat race. My view: I do not believe this to be true. Most parents gear their children towards achieving good results in the PSLE rather than worming their way into the GEP. Criticism: The GEP penalises late bloomers. My view: When the selection process is held at the age of nine, the chance of overlooking a high- achieving late bloomer is indeed high. But this child isn't penalised. Our education system has many paths that will help late bloomers to flourish. I'm not being self-serving in arguing for the GEP to stay. Yes, my daughter spent three enriching years in it. But that is history. The programme's great hallmark is that admission is based purely on an individual's intelligence. Nobody gets priority based on sibling, alumni, clan, church or grassroots connections, or distance from home to school. Admittedly, some of these factors do come into play when those who have made it to the GEP are asked to choose which of the nine centres offering the programme they want to enrol in. For example, a pupil transferring from a Special Assistance Plan (SAP) school may find it easier to get into a GEP centre that is also a SAP school. By and large, the schools do try to accommodate as many applicants as they can. That is why some centres operate more GEP classes than others. But it bears reiterating that no one, not even those blessed with smart genes, can guarantee their offspring will continue to stay in the top 1 per cent generation after generation. Some families do have a successive generation of GEPers, including a famous couple with all four children in the GEP. They are the exceptions. In any case, no streaks last forever. Setting up a programme that excludes 99 per cent of the student population requires strong political courage and deep conviction from policymakers. It can be sustained only if Singaporeans believe in spotting talents and nurturing them early. More importantly, they must believe that no matter how uneven the starting playing field may be, any child who demonstrates exceptional intelligence can be selected for the GEP.